Virgin Galactic is using an old 747 to launch rockets into space. The plane, dubbed "Cosmic Girl," was formerly used by sister company Virgin Atlantic to fly passengers from Europe to the United States. In its second life, it will launch unmanned rockets carrying small satellites into earth orbit. Cosmic Girl will carry the satellite and the small rocket, dubbed LauncherOne, under its left wing. After reaching its top altitude, the rocket will detach and fall away from the plane. The rocket's engine will then ignite to get the rest of the way into space. The horizontal launch from a plane is also how Virgin Galactic plans to carry space tourists into short suborbital fights into outer space. But a different, specially designed plane will carry the manned missions, and those flights will not reach orbit the way the satellites do. 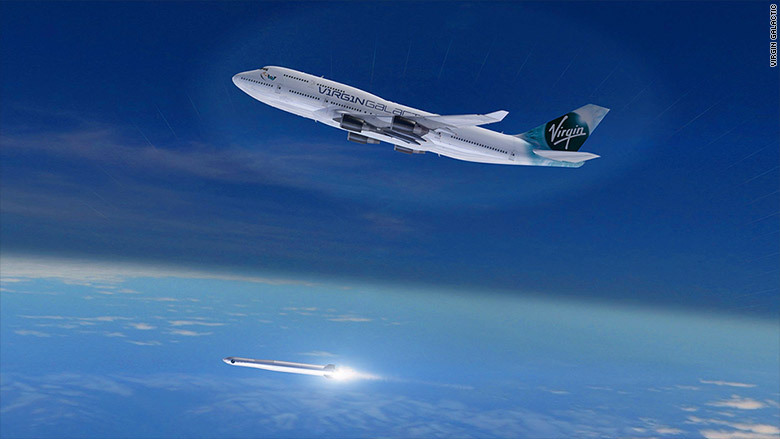 Artist drawing of the launch of a rocket from VIrgin Galactic's new 747. Virgin Galactic has won a $4.7 million contract to launch satellites for NASA. It also has as a contract from OneWeb, which plans a network of 270 low Earth-orbit satellites to provide global Internet access. But the company has not yet launched a satellite or a tourist into space. 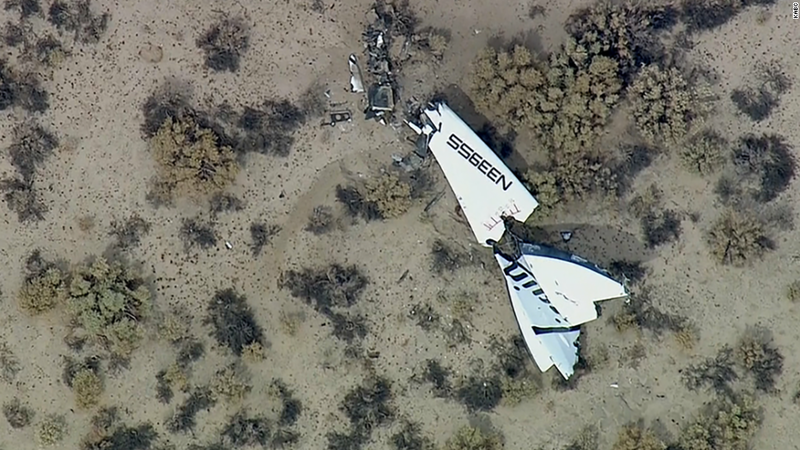 Virgin's SpaceShipTwo crashed in October 2014, during which a test pilot was killed. A new SpaceShipTwo is still under construction. Cosmic Girl has been in service for Virgin Atlantic since 2001. It was one of the last 747's put in service for the airline, which switched to Airbus A-340's after that. "The Boeing 747 has a very special place in my heart," said Virgin founder and CEO Richard Branson. "I never imagined that today one of our 747s would get a second chance and help open access to space. I'm absolutely thrilled that Cosmic Girl can stay in the Virgin family — and truly live up to her name."